Buzz Kill Ramblings of Tim Louie: TIME TO DROP THE DONUTS! As if you needed a reason not to eat Dunkin' Donuts, here's another reason. I mean their coffee is pretty good, but it's no Starbucks! 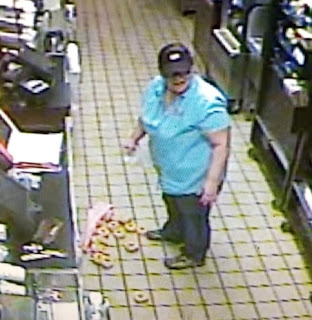 Anyway, a former Dunkin' Donuts employee leaked a video this week that showed another employee dropping a tray of donuts on the floor, then calmly putting them back on the tray and then putting the tray out for sale. That's right! So gross! Eating any food not grown in your own garden and cooked yourself only means you're putting a certain amount of trust in the people who handle and prepare your food. When you eat a donut, which cannot be washed, you trust that it hasn't been anywhere other than a fryer, the tray and the bag. The former employee shared the video, which was taken back in November, on Facebook, where it went viral. He also shared unrelated grievances against that particular DnD on Facebook. The clip showed footage of the donut shop's surveillance camera system, and it does fast-forward through a significant chunk in the middle, during which some viewers suspected the tray could have been swapped out for a different one. Dunkin' Donuts, however, did confirm that the events in the video happened as shown, and the employee was reminded that this is not a good idea. 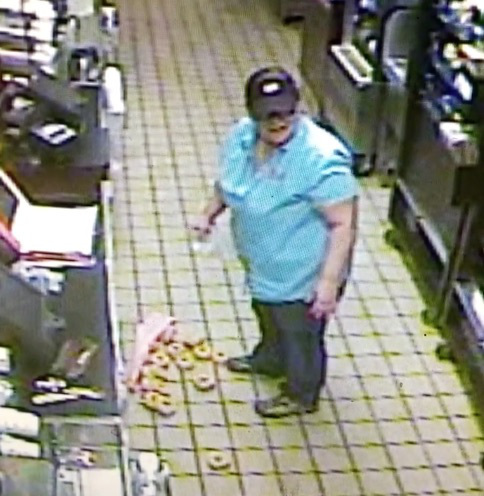 Dunkin' Donuts released in a statement: "We are aware of the video and we take matters like this very seriously. The actions in the video at a franchised Dunkin' Donuts restaurant are absolutely inconsistent with our strict food safety standards and requirements. According to the franchisee, upon hearing of this November incident, he investigated the matter and met with the employee to discuss the fact that the donuts should have been immediately disposed of in keeping with our standards."